to enter the myth that exists without time. Unsurprisingly then, the collection opens with ‘In the Shadow of Gilgamesh’, a long poem of eight pages in which Karim establishes a mythical backdrop to his own experience of exile, taking as his point of departure an ancient Sumerian epic that predates Homer by more than a thousand years: a work that is pre-Islamic and rooted in a prehistoric dream time. we float across the Tigris in skiffs of wood and tin. witness the emergence of a man. It’s a world in which there is harmony between man and his environment, or to employ a more contemporary term, a world where life is ‘sustainable’: ‘And the fish rise now / as if they were the echo of his call’. It’s a vision that stands in marked contrast to the nightmare of Iraq’s recent history. Further on, a different contrast is drawn, between the sordid actuality of ‘The steps of a whore who visits / in the middle of some night’ and the otherworldly vision of a poet who attempts to ‘capture Ishtar in his poem’s mesh, / trawling for her in the depths’. All the way through this banished life I’ve lived. Marking the footsteps of others. It would seem to be implied, given the poem’s mythical context, that violence and trauma have always been, and always will be, a part of the human condition and that, moreover, the exile of this poet, like that of Ovid, Dante, and many others, is not merely personal but has acquired the status of an archetype. Keen to re-negotiate the swamp of estrangement. Seeking another shore may lose the coast. In the opening section of ‘Lowfield Road Quartet’ the poet’s nostalgia for his vanished homeland is tinged with eroticism, but is, in the end, insubstantial, evanescent: ‘A curtain falls between me and my vision of home’. Here and elsewhere, Karim’s timeless backdrop invites comparison with the exemplars of a more familiar classical mythology. One thinks of Tantalus straining towards the grapes forever beyond his grasp. Note, too, in passing, his insistence upon his native vernacular and not merely Arabic. 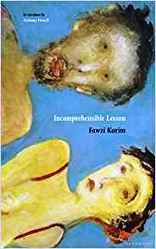 Fawzi Karim is an exemplary poet and one who, pursuing his own vision, has created a body of work that reflects yet transcends the circumstances of his life. London Grip Poetry Review – Maitreyabandhu	Swinging London: A Lifestyle Revolution. Review by Barbara Lewis.